Andrew was born and raised in Flatbush, Brooklyn. He has recently lived in Clinton Hill, Long Island City, and Jersey City, before taking the next step to Southern Brooklyn and planting roots in the rapidly up-and-coming enclave. As a Brooklyn native and a graduate of Pratt Institute Master of Architecture, Andrew knows the ins-and-outs of NYC and its imaginative design culture. After a decade of practicing in well-known NYC architectural offices as a draftsman, designer, and ultimately a valued project manager, Andrew joined forces in real estate to enhance service experience. 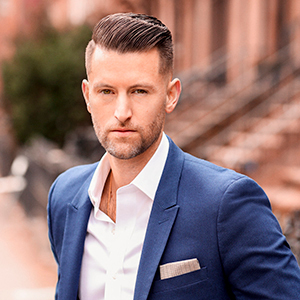 Merging his prolific background in architectural and interior design with his passion for real estate sales and marketing, Andrew's skill set helps to provide a superior product for buyers, sellers, developers, and investors alike. This sales brand is one that integrates creative design insight with a deep knowledge of the market and a wealth of sales experience. With years of practice in a variety of real estate-related services, Andrew was involved with investors, developers, brokers, contractors, and additional building trade consultants on a frequent basis. He aims to redefine how design and real estate services can harmoniously blend to accomplish more than what is expected in the individual industries. To truly separate Element88 Condominium from the ubiquitous new-builds in the vicinity, the daring dynamic architecture and structural advancement is just the beginning. On the interior, the 1, 2, and 3 bedroom homes feature soaring 12 foot ceilings, 10 foot doors, dramatic herringbone flooring, smart thermostat, elegant finishes + design features, and professional series appliances to announce a new standard in Williamsburg luxury living. With a refreshing contemporary palette and custom finishes integrated throughout, Onyx Square has spared no detail to take the South Brooklyn standard to the next level. A sophistication in design features, an emphasis on common spaces, and optimized space planning were all given the utmost importance so that occupants will be able to enjoy the ultimate level of comfort. Nestled on a quaint and historic tree-lined street in the heart of Boerum Hill, right off of the trendy Smith Street corridor, 287 Pacific boasts a bold contextual facade design and meticulously designed stately interiors. A Timeless Brooklyn Heights Landmark is reimagined. 149 Clinton is primed to be one of Brooklyn's most prestigious addresses. The opulent one-family corner residence with private parking features lavish design, an elevator, zen garden, rooftop terrace and more. From the stunning backyard in-ground swimming pool to the interior cathedral ceilings, this single-family home checks all the boxes on a Brooklyn luxury wish list. Containing a sprawling open concept parlor with original 1899 stained glass bay window, one-of-a-kind Delft tiled fireplace and exquisitely restored prewar inlaid hardwood floor design, there is massive impact open entry. This is truly a one-of-a-kind property to find in the very center of Brooklyn.